Nicole Miller-Struttmann will be interviewed about her bee research and the upcoming Bee Blitz during St. Louis On The Air, Thursday at noon on St. Louis Public Radio. Miller-Struttman was recently the recipient of the 2019 Science Educator Award by the St. Louis Academy of Science. 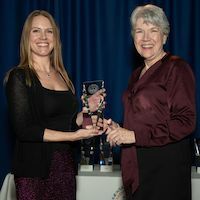 Miller-Struttmann was recognized at the Academy of Science’s 25th annual Outstanding Science Award Ceremony, held at the Missouri Botanical Garden on April 4. The Science Educator Award recognizes a distinguished individual for outstanding contributions to science education or to the public understanding of science, engineering, or technology. Warren Rosenblum, professor of History in the College of Arts & Sciences, presented “From the Age of Good Intentions to Programs of Mass Destruction: The ‘Feeble-Minded’ in Modern Germany” on April 6 in conjunction with the United States Holocaust Memorial Museum’s traveling exhibition “Deadly Medicine: Creating the Master Race,” which is on display at the Heritage Discovery Center. 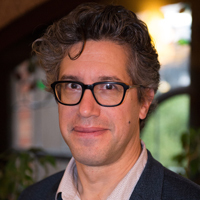 Rosenblum's lecture explored how persons with disabilities were stripped of their status as German citizens, laying the groundwork for mass murder under Hitler. The lecture was covered by the Tribune-Democrat"
“Rosenblum will appeal to many people and attract a broad audience, especially after the success of having Mr. (Judah) Samet speak last week, it’s really made people more aware that there’s more to learn than just the exhibit itself,” said Deb Winterscheidt, director of development and members services for Johnstown Area Heritage Association. Read the full Tribune-Democrat article here. 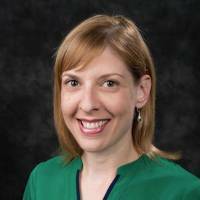 Jennifer Starkey, director of Community Engagement, was interviewed by local community radio station Radio 63119 for a discussion of community outreach and resources made available by Webster University for the Webster Groves community. The interview will air Monday at 1:30 p.m. CDT, and again on Wednesday and Friday at 7:30 a.m.
Find Radio 63119 online here.